The process of building a new home can be daunting. It is important that you don’t let yourself get overwhelmed with the process. One of the crucial factors during this process is finding builders that you can trust, know and eventually come to love. Eliminate any stresses or confusions by creating your own personal. 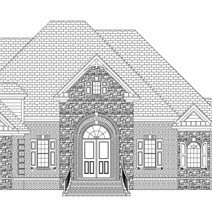 The San Martino is our latest Mediterranean design, and addresses our growing requests for “one living space” home plans. An elegant foyer with barrel ceiling, spacious master suite, a tremendous outdoor living space (including a “birdcage” over the pool area), as well as 3 guest rooms make this a very livable home in a compact. This lovely cottage style home incorporates many current living trends of the modern family: large casual living spaces with view of the kitchen, focusing the family/kitchen/master suite around a luxurious outdoor living space for entertaining and enjoying the year-long summer weather, magnificent master suite with huge walk-in closets, walk-in master shower, elegant coffered and tray. 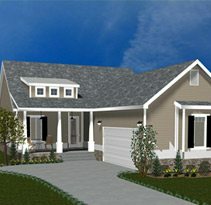 The CARRELL GROUP unveils a new “Coastal Cottage” Model: “The Dartmouth.” The 2-story models starting at $110 per heated sf! This 2400 heated sf, Cottage style home, is designed for homeowners who have narrow lot dimensions, enjoy less Formal spaces and more large/casual Family Rooms, and LOVE outdoor Living Spaces (screen porch, firepit, spa, and. 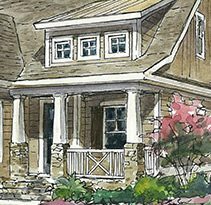 Carrell Group has been overwhelmed by the response of its Caswell Model plan, but even more shocked that most clients want to add a second floor and finished bonus space to these plans. The 2nd floor views of courses, water, or natural preserves are inspiring clients to add a floor. These plans allow a simple.